Call on 01572 503123 or email us for a free no obligation consultation and quotation. 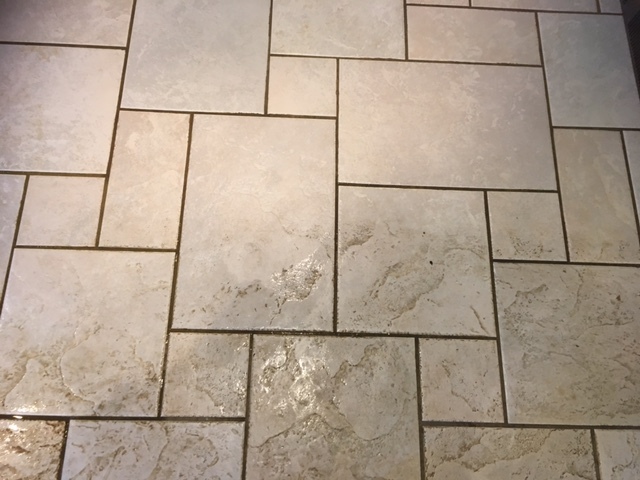 I know I’ve covered this before but your kitchen floor really can benefit from our tile and grout cleaning service. Ceramic and porcelain tiles are an ever more popular option for kitchen floors, and with good reason. 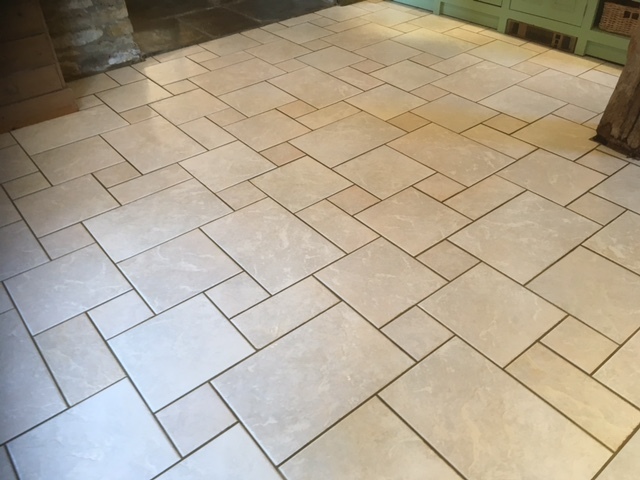 They are hard wearing and easy to clean but they are not impervious to soiling and over time a mixture of dirt and very often the cleaning solutions you have used become ingrained in the surface of the tile and especially the grout between them. I’m sure you’ve tried it yourself – scrubbing away with a floor cleaner from the supermarket with a brush. You’ll make some impression but still not get the tiles and grout totally clean. Or you may have tried a steam cleaner, as the owner of this floor had done. You may come to the same conclusion as she did, that it was a waste of time. 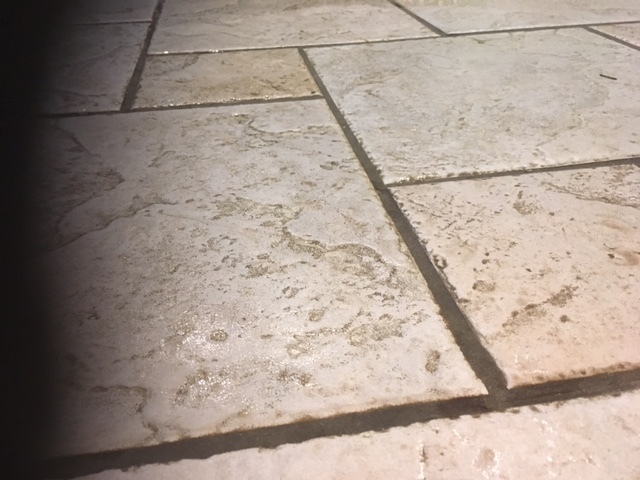 The reality is that by the time the dirt is this ingrained you need some for of tile and grout cleaning intervention – either professional or divine. I can offer you the former. Using the finest cleaning solutions and a selection of machines appropriate to your floor, both in size and flooring type, we can restore your floor back to new, making it far easier for you to keep clean and transforming how your floor looks. 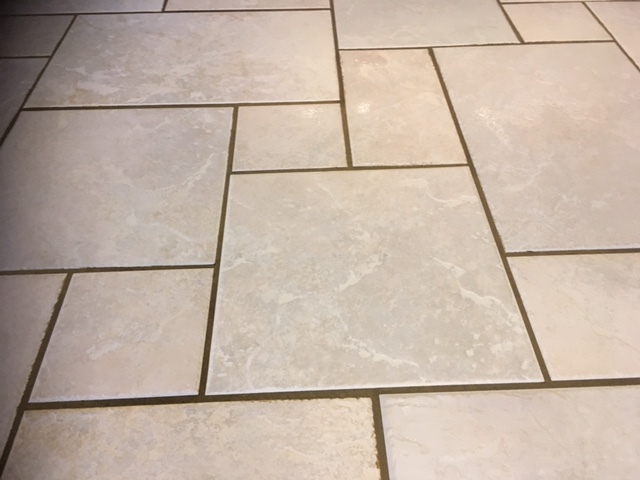 Contact us now for your free tile and grout cleaning consultation and quotation.